I had plans to write this yesterday but just never got around to it...but since I want to get onto Pinterest and do some surfing before bed, I'll share some updates around here- short and sweet. Love Pinterest don't you? Gerry painted the porch this weekend. It has been a light pink since I moved in here with him about 7-8 years ago. Because the colors were similar in shading, he was able to use up some paint left from the kitchen I believe, and got away using one coat of paint. I saw some bugs over the weekend as well, even though we still have snow. There was a butterfly, a small month, and a spider on the wall that I "flushed".. hate bugs. Even the good ones ok? I was able to sell a contest win I had from a few months ago, that I got $70 for, so that will be going towards new bedding for the rv. Think Gerry may be going this week to pick it up. Already put the insurance on it.I already have something planned for a summer trip, but as well have to look into getting something hooked up so I have Wi-Fi. I still love to blog and be connected to the world when the mood strikes. I've had to take all my rings off yesterday , till I find something that will keep them safely on. After losing weight a few months back, I lost some fat on my fingers too and my rings move a bit too much. I had lost my wedding ring on Sunday. Good thing Gerry found it in the house. But they'll stay off till I get something to fix them on a bit better.Maybe I'll buy a pair of tungsten rings as spare. Ria will be home next month as well, after being gone for 5 months down in Honduras.She'll come back to a summer job at the zoo. Not sure what her fiance will be doing. She had sub let her apt while she was gone, and he had quit a job he had. May get back on there or may get summer work in the parks. Not sure what their plans will be for next Fall, or where they'll go. She hates the snow and the cold, just like me. So know she'll be leaving again. It seems like our trip to Orlando is quickly approaching and we are busy planning our short time there. But trying to do as much as possible in our 4 days there. One of our other stops will be Wonder Works. This is a fun hands on activity centre that will delight as well as excite. 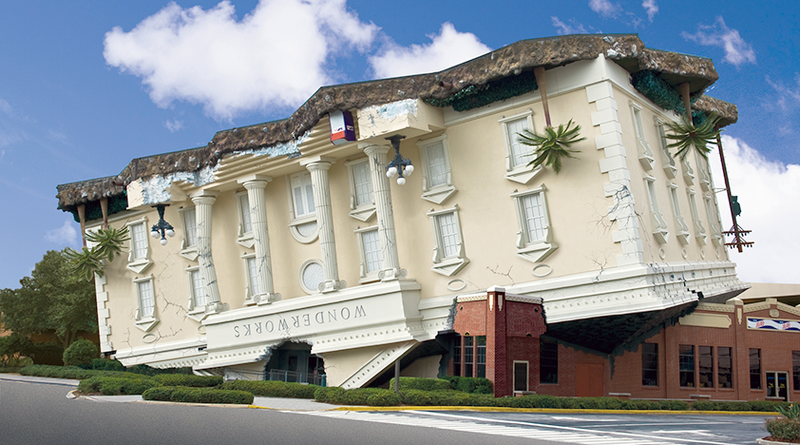 There are several Wonder Works locations in the United States. The Orlando location has over 100 interactive exhibits. Some of the more popular exhibits are on natural disasters when you can (safely) become a human lightning rod, the Hurricane shack, when you can enter a space and experience category 1 Hurricane winds, the earthquake cafe where you can feel the strength of the 1989 San Francisco Earthquake. There are also physical challenges such as bed of nails, or the bubble lab where you have the opportunity to create some great bubbles. Additional exhibits focus on Space and the great beyond and well as having fun with light and sound. Additional fun and physical activities include a ropes course as well as laser tag which will get you blood flowing. When all is done, just relax in the 4 D movie theater. This is a great place for hands on activities that let you better understand the world around you. We can't wait- seems like such a cool place! Gerry decided to take the quad today to the front yard and get rid of all the piles of lingering snow. Flattening it out will help melt it alot quicker. We are staying put in May. Ria is coming back from Honduras, and Gerry also had a worker put in notice at work- his assistant- so the company has to hire someone else and he'll have to be training as well. So any travelling is out. He bought a chain saw on Friday as well. He had won a $200 gift card not long ago for a snow machine helmet, but was able to use the gift certificate at the dealer's for anything else he wanted. He chose a chain saw, as he said he will cut his own wood for the shop, this winter. National Moscato Day Is May 9th + A Twitter Party! 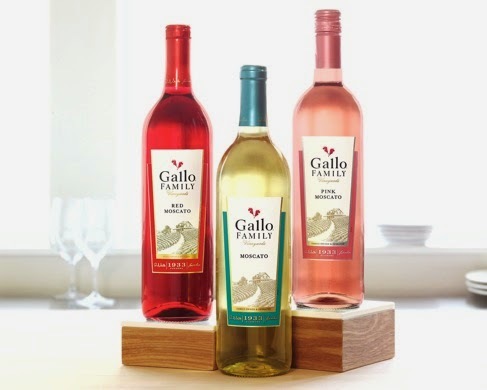 In the spirit of these changing ideas about wine and sharing experiences, Gallo Family Vineyards invites Americans to show how they #MixItUp on #MoscatoDay during a @GalloFamily Twitter Party at 7 pm EST on Friday, May 9th. 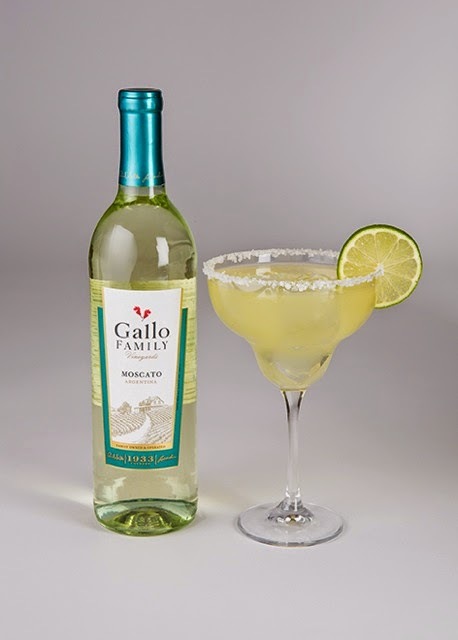 Fans can also take Gallo Family’s “Moscatofy Yourself” quiz on the Winery website beginning on May 9th. You can scrimp and save and live a relatively frugal lifestyle, but there will always be some things that you would like to spend money on. After all you save in some areas of life so that you can spend it in another. For some people it may mean spending time playing casino games online. You can play these online games and still find ways to save money as well. Often times places such as Casino Midas have special promotions on certain days that make the whole experience much more affordable. If you are not set on what you want to do at any given day, you may benefit and save more money, just by being flexible. Furthermore many online casino sites offer welcome bonuses, in which you will get a little bit more money to play just for signing up. By doing just a little bit of research before you start you can have more money to play with. 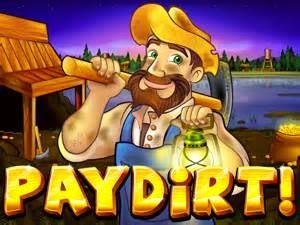 Furthermore, some casinos offer promotions and allow new players to learn the craft of playing a game for free without having to spend a lot of money. This is a great opportunity for new players and older, more experienced players to try out new games and hone another new set of skills. Some casino sites have a chat feature that make the game a very social event as well. You can chat with other players, and even form friendships that will make the games that much more enjoyable. Playing games such as casino games online does not have to be very expensive. In fact, by looking around and finding some great promotions you can easily make this hobby a lot more affordable. After all, the whole point of these games, is to get good enough so that just maybe you can turn a little bit of a profit, from time to time. Happy to say that the snow is finally receding and rain is in the forecast, which would help it to go that much faster. It sure has been a long winter. Longer for some than others, as some people go away in the winter on hot holidays, and others are left here to "deal with it". Ourselves, we were lucky to go away a few weeks ago to warm Arizona. But I must say I did feel guilty being in the warmth of the sun while Jakey and our family were still back home in the cold. We have been trying to sell our snow machine, but no luck. I knew there was a possibility that it just might be too late in the year already when Gerry decided he was going to sell it. We did get one helmet sold though, but were hoping to have sold the machine to use that money towards the rv we had bought. Gerry will be picking up this Friday I guess. Has to take the bus to go pick it up in Saskatoon.. may be a 10 hour plus bus ride. The rv place wanted $1500 to bring it to us- way too much! Anyone else own an rv, I'd love to hear from you. 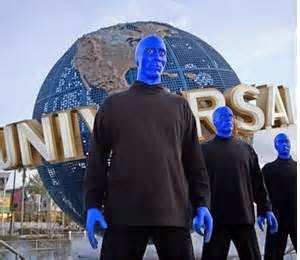 While we will be visiting Universal Studios, the Blue Man Group will be there and we are going to see them one evening. This show is so well reviewed and around for a really long time, that we are very excited to see it live for ourselves. We've seen the show once before, years ago in Saskatoon, but this one looks different. The concept of the show is experimental music, comedy and multimedia, all performed by men in blue paint. The show is now seen around the world and it often times hits on different themes such as science and technology, innocence, self conscious, the outsiders, rooftops. The show can be so spectacular it is hard to believe that it is only performed by three actor musicians. 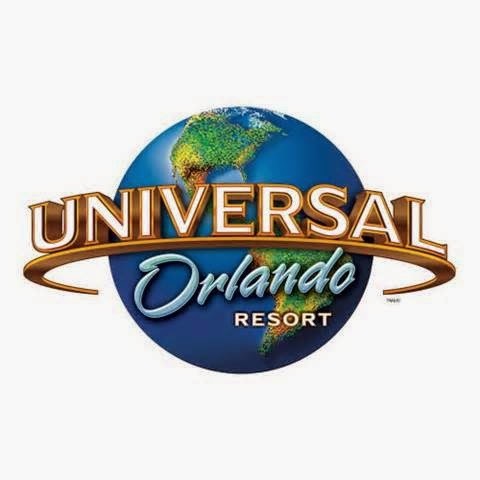 There are so many different types of performance art that we like to see on our holidays, and we are really excited to see the Blue Man Group once again, having seen them closer to home once before, it will be really special to see them live at Universal Studios, Orlando, Florida. This is a show like no other, full of lights, music, laughter, and we are sure that it will be an evening to remember! Disclosure: I was not financially compensated for this post. I received a sample for review purposes. The opinions are completely my own . 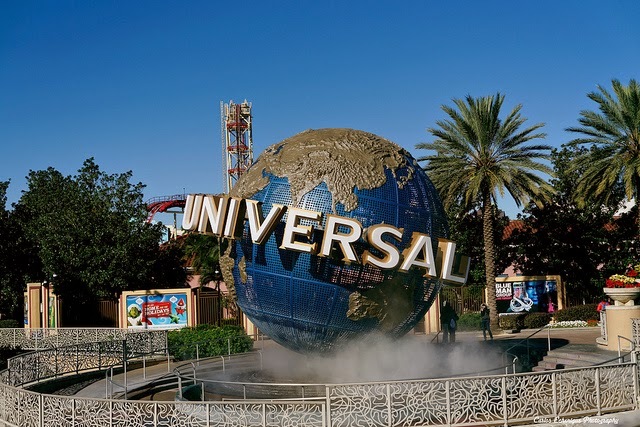 When in Orlando, Florida in June, we will be visiting Universal Studios. It is really a must see place for any movie buff, and it is nice to see the things that you see on screen come alive in real life. This park has some amazing rides, perfect for thrill seekers or people just wanting to take a step into the movie world. Some of the newest additions that we are excited to see are; Harry Potter and the Forbidden Journey, Transformers the ride: 3D and Despicable Me Minion Mayhem. There are also plenty of fun water rides, and since it is Florida in June, the weather should cooperate. Universal Studios is not just a theme park there are plenty of things to do for those of us who are not into thrill seeking. There are plenty of world class shows, including this year the Blue Man Group. There is world class dining and shopping, plus the park puts on some fantastic annual events that are worth the price of admission just on their own. We are both really excited about our visit. Universal Studios adds new attractions every ear, so even if you are a frequent visitor, remember that it is not the same park as last year! Also, check out the new online vacation planner too for Universal Studios…it’s pretty awesome and helps to personalize the perfect day for you and your family. 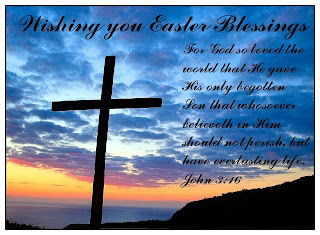 Easter blessings for everyone today. I hope you all have a nice, peaceful Easter- shared with family and friends. Good Friday is the Friday immediately preceding Easter Sunday. 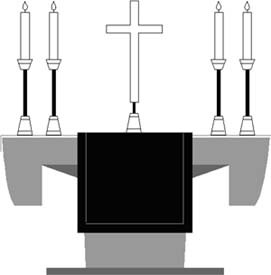 It is celebrated traditionally as the day on which Jesus was crucified. On Good Friday, Christians remember that Jesus died for all of us. He was crucified by the Romans on a hill outside Jerusalem .He had done no wrong. When a person was crucified, they were tied and nailed by the wrists and feet to a large wooden cross or scaffold and left to die. This is why a cross if often used as a symbol of the Christian faith. On our upcoming trip to Orlando (June cannot come soon enough) we will be visiting Sea World. They have added some new attractions this year, so whether you are visiting for the very first time or the 100th it will still feel like new. One of the new exhibits is Antarctica: Empire of the Penguin, it is Sea World's biggest expansion ever. Now guests can experience life on ice through the eyes of a penguin. This is a family friendly ride that combines very close animal encounters with state of the art technology that are different every time. For those who enjoy adventures of a different kind, you should try some dining adventures that are currently available. Come and sink your teeth in Sharks Underwater Grill, or Dine with Shamu, with a wonderful pool side table. Seaworld also has numerous rides as well as shows to entertain and delight the entire family. For those who want to get even closer to the animals they can immerse themselves in an animal connection experiences with a Beluga Interaction Program as well as the Marine Mammal Keeper Experiences. These are wonderful ways that you can get closer to the animals themselves. Sea World will be a great stop on our trip, especially on their 50th celebration. Global restaurant chain Johnny Rockets have announced their latest menu concept - the new Build-Your-Own-Burger (B.Y.O.B.) ordering option. With a price point starting at $5.49, the new menu presents you as a diner, with the opportunity to individualize your burger – as unique as your personality - far beyond standard offerings. As part of the new B.Y.O.B. program, you will be able to choose from a broad range of hamburger toppings, with hundreds of available flavor combinations. You can begin with one of four protein options including chicken breast, turkey, 100% soy Boca® burger and Johnny Rockets’ famous 1/3-pound hamburger made with 100% fresh, never frozen, all natural beef. You can then create hundreds of iterations of the classic hamburger with fresh toppings that include lettuce, tomato, onions, pickles, jalapenos, relish, as well as a variety of cheeses and newly-introduced sauces. Add-ons include all-meat chili, fried eggs, smoked bacon, grilled peppers, mushrooms and onion rings.Johnny Rockets will also debut a new artisan burger bun, as well as a variety of new sauce options including a zesty chipotle ketchup. 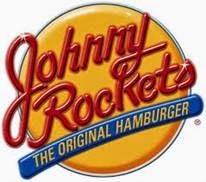 And of course the restaurant will still carry their signature crispy American fries and premium ice cream shakes as well as a variety of classic sandwiches that have made Johnny Rockets an iconic dining destination since it opened its first location in Los Angeles in 1986. Since that time Johnny Rockets has grown to more than 300 locations across the globe, serving 18 million hamburgers each year. The B.Y.O.B. menu was rolled out at all Johnny Rockets restaurants nationwide on April 14th and will run till June 29th. It seems like we have only got back from Arizona, and here we are planning our next escape. This time we have set our sights on Orlando, Florida. We've been before , but just didn't see everything last time, plus our time share company had a deal of $200 for a one week condo stay, at the Westgate Leisure Resort so thought it would be a perfect time to go back! Orlando has so much to see and do though, and love the weather there. 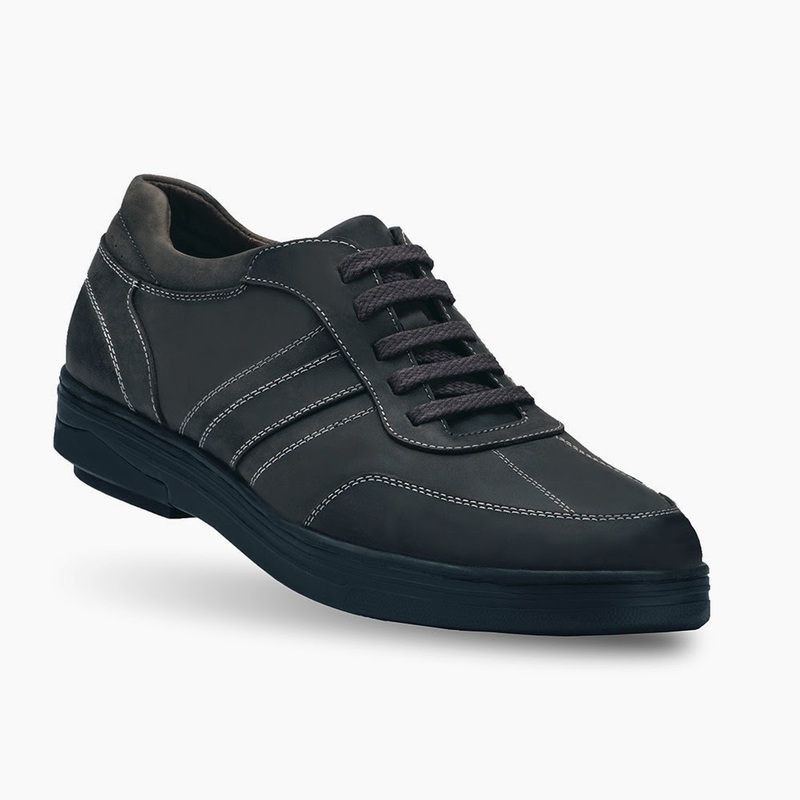 Gerry recently had a chance to try out the Men’s Madroad casual shoes from Gravity Defyer. These are so comfortable and very stylish as well. With hand stitched detail they look very nice for a casual outing or even a more formal affair. The company called Gravity Defyer, has years of research going into the development of amazing VersoShock technology, that offer shock absorption technology for a very pain free and comfortable way of walking. The shoes feel different than what Gerry is used to wearing, putting a spring in his step! The company now offers a variety of different soles that fit anyone’s comfort needs as well as shoe styles. It is great to rediscover the comfort of walking pain free in new shoes! Life is full of deadlines, but none are quite as notorious as April 15 – Tax Day. To help ease stress for all those last-minute filers, Pizza Hut is issuing an online deal that makes mealtime less hectic and easier on the wallet. As an ode to the 1099 tax form, Americans can order a large pizza and one of three signature Pizza Hut sides (Breadsticks, Chocolate Dunkers or Cinnamon Sticks) for just $10.99, online-only on April 15. Customers must enter the promo code TAXDAY to get the deal. "We are featuring the deal online only so it's a way to meet the consumer right where they are," said Doug Terfehr, PR Director at Pizza Hut. "There are more online filers than ever before so we feel this is a great opportunity to deliver a stress-free deal for those who are cramming to finalize their taxes before the deadline." The pizza giant is known for offering menu items that make mealtime decisions less stressful. From the Big Dinner Box to bundled offers like the $10.99 Tax Day Deal, the brand is dedicated to offering convenient, delicious options that everyone can enjoy. 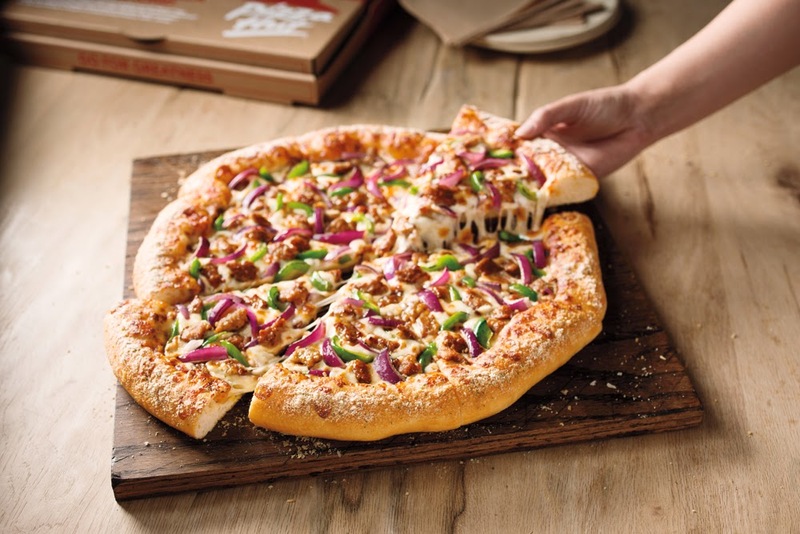 To take advantage of the Tax Day Deal on April 15 or order any other mouthwatering Pizza Hut menu items, consumers can visit www.PizzaHut.com. Pizza Hut, a subsidiary of Yum! Brands, Inc. (NYSE: YUM), delivers more pizza, pasta and wings than any other restaurant in the world. In 2013, Pizza Hut was named the Harris Poll Equitrend® Pizza Brand of the Year and was the recipient of the Innovation and Leadership in Advertising Award from the American Advertising Federation, 10th District. The only pizza company to be named a top ten franchise in 2013 by Entrepreneur Magazine, Pizza Hut began 56 years ago in Wichita, Kansas, and today operates more than 14,000 restaurants in more than 100 countries. 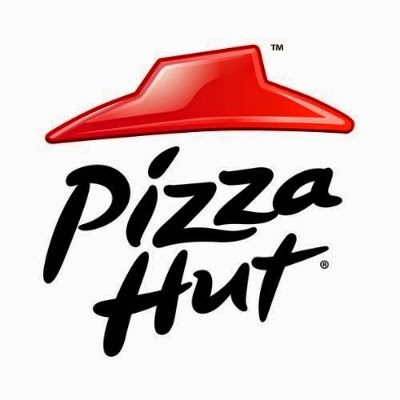 Pizza Hut also is the proprietor of the BOOK IT!® Program, which is a long-standing children's literacy program used in more than 620,000 classrooms nationwide. To order online from Pizza Hut, visit PizzaHut.com. Read more at http://www.stockhouse.com/news/press-releases/2014/04/14/pizza-hut%c2%ae-offers-up-last-minute-tax-filers-a-tasty-10-99-deal#Lz8Rwg0S5ut4Q3d8.99Life is full of deadlines, but none are quite as notorious as April 15 – Tax Day. To help ease stress for all those last-minute filers, Pizza Hut is issuing an online deal that makes mealtime less hectic and easier on the wallet. Anyone who’s ever done it agrees that moving house is stressful. It’s an anxious time, wondering whether everything will go through smoothly, but it’s also a huge time and money drain. Given that time is also money, counted partly in terms of working days lost or income not earned if you freelance or work from home, anything you can do to streamline the process is worth investigating. Packing up your belongings ready for removal is one of the most time consuming aspects of moving house. As soon as you know the move is definitely going ahead, start packing. Sort your belongings into two groups comprised of things you use every day and things you can live without for a while. You can do this in your head, or on paper if you like making lists, rather than physically sorting things. Pack up the items you can live without, including ‘best’ versions of things such as dinner sets. Save money by stockpiling old newspapers and magazines for a few weeks so you have plenty of padding material to wrap up delicate ornaments or crockery. Wrap glasses separately and place sheets of protective paper between nested plates, bowls and cups. Take extra care with electronic items, wrapping them individually then placing them in a larger box with room for additional padding around the edges. It’s a good idea to stick matching colored stickers on cables and the sockets they plug into before you disassemble everything. This will make putting everything back together at the other end much easier and quicker because you only have to match up the colors. Save yourself frustration by packing the cable and the item in the same box so they aren't separated. Clearly label your sealed boxes so you don’t arrive at your new place with a hundred boxes and no idea what’s in any of them. Write on the outside of the box which room it belongs to and what’s inside before you seal it. Be specific: write ‘plates and cups’ rather than ‘kitchen things’. Arm yourself with good quality packing tape to seal up the boxes. It’ll save you money in the long run since it’s stronger and less likely to come unstuck. It will also prevent the bottoms falling out of heavy boxes, causing delays and possible damage to delicate items. You can get ahead with packing if you put large items into self storage. Are you moving within the same town? Rent a small self storage room where you can store larger items (such as spare beds) until you’re ready to move them into the new house. Short term rentals mean you can have a room for just a week or two to use as a holding area. Put boxes of smaller belongings you don’t use every day into self storage too. They’re safe and secure but out of your way, making the necessary last minute cleaning easier and quicker to get through. By breaking the move into stages, you’ll save time and frustration in the long run. For busy, working people, it’s easier to find an hour or two spare to get a couple of jobs done than it is to find an extra day nearer the time. 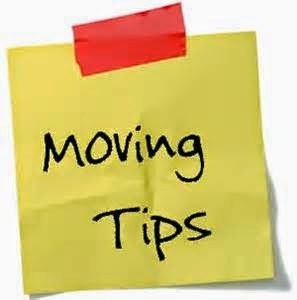 It would be misleading to suggest you can take all the stress out of moving home but, by taking it in smaller steps and making the most of storage and packing options, you can save time, money and anxiety. Drew writes for Big Yellow Self Storage. 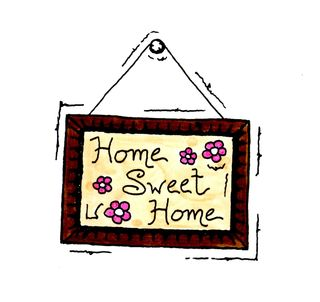 For more information on removals and moving home see their website or storage blog. At first glance, Fellowes AeraMax 200 Air Purifier is attractive - it has a modern, lightweight design and is the perfect size. The front color touch display is simple and makes the air purifier easy to operate! When you first turn on the unit, it takes a couple of minutes to measure the air quality in the room, which we thought was a neat feature. After only a couple minutes, we could smell the freshness and purity in the air - which is quite the change when we have hair (and who knows what else..) floating around in the air from our two fur babies! The Fellowes AeraMax 200 operates quietly, even with the fan on it's highest setting. It also covers up to 200 sq. feet, which is great for our condo! 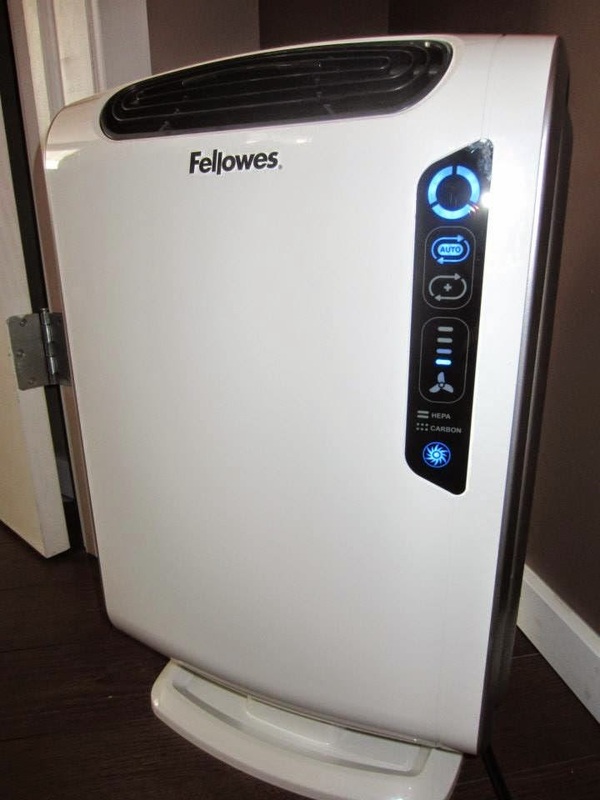 Overall, we are very impressed with the Fellowes AeraMax 200 Air Purifier and are looking forward to using it for years to come because purified air is better air! Well, we made it home last night about 10 pm. Were suppose to be home a day earlier but that all got messed up. On Friday we flew out of Phoenix on a connecting flight into Denver that was suppose to take us home. Turned out that there was some mechanical problems with one plane and made our plane 2 hours off schedule. That in turned made us late for our connecting flight. Long story short- it was a nightmare. We had to stay in Denver an extra night, where the airline put us up at a "not so nice hotel in our standards", and with no luggage I might add, since they sent it on ahead with our next day's flight already. We had our carry on bag that had my lap top, which was a good thing though, as I was able to cancel a hotel I had booked in Saskatoon, message the kennels where Jakey was staying to tell them we'd be late, plus message family. The next day was a morning flight that the hotel provided a 10 minute free shuttle service to the airport. Well, I must have had a touch of something and was both stomach sick and extremely nauseated.I thought for sure I was going to be sick in the shuttle. Got to the airport, bought some Imodium and some Gravol, and started taking those. The flight was 2 hours- and I didn't think I was going to make it, but somehow I did. By the time we landed, the pills were already kicking in and I was feeling better. But a terrible feeling to have to travel like that. We picked up the truck at the airport in Saskatoon and actually headed over quickly to an RV dealer, where we bought a 1998 Winnebago Brave 31'. We put a deposit on it and will pick it up in the next week or two. ( A new electric step and hot water heater are being installed). We're thinking if we can buy them , do a bit of inside work to them, and resell with a profit, we will eventually have the last one we own, in a sense, paid for. So, we'll see how that goes. When we got home Gerry had a phone message on the phone that he won a survey contest he had done on snowmobiles. Won a $200 gift certificate towards a new helmet. Funny thing is, he is selling his snowmobile and helmets he has right now, ( money will go towards the rv we bought), but hoping he will be able to use the gift certificate for something else in the store it's issued at. Last day here in Scottsdale. Leaving tomorrow- so be a full day of travel. Have to get to the airport by noon to drop off the car, then with us being international flights, we have to be there about 2 hours earlier before our flight. Fly out afternoon and not be in Saskatoon till late on Friday night. Today the temp got to 36 degrees Celsius.. it was hot visiting the Phoenix Zoo today but still had a great time! Love seeing the animals but we did miss seeing a few of them as they too were warm and either hiding or sleeping! Best to plan zoo visits here later in the day or on days not as hot as we had today. It’s definitely best to come first thing in the morning as the temps are lower and animals are active. In the summer months we adjust our hours 7 a.m. – 2 p.m. as temps regularly reach 115 in the middle of the summer. After lunch we also visited the Penske Racing Museum- a free admission attraction, most interesting for the race car buffs. Short post tonight everyone sorry, long day and ready for bed soon. Long day ahead tomorrow. Hope everyone enjoyed following along with us during our stay in Scottsdale. Often times when you have a medical issues you would do pretty much anything in order to make it better. However, you may have exhausted some options, and are at a loss as to where to find more. This is why you should try Essential Medical Supply, a family owned and operated business since 1985. It is a broad supplier of home medical and health related products, which are designed with the end user in mind. The company offers a variety of products, including walkers and wheel chair supplies, bathroom safety products, canes and crutches plus a whole variety of products that make the lives of patients and their care takers, a whole lot easier. I recently turned to them when try to deal with coccyx/tailbone issues. I tried their Essential Medical Supply’s fleece covered coccyx cushion. It is a specially designed pillow that relieves the pressure associated with sitting on the tailbone, and I must say it does help with taking pressure off the tailbone. It is designed to be comfortable and easy to clean which are both big pluses in my book. **Regarding coccyx/tailbone issues and what causes them please see this link for the Mayo Clinic's description of coccyx/tailbone issues, their causes, and how to relieve them. Essential Medical Supply are not health professionals but do provide products that the Mayo Clinic suggests. Their website should give you some valuable insight on this issue. Because they are now offering an amazing deal I thought you’d like to share with you. Now through April 26th, you can score a FREE 6pk Refill ($2.99-$3.49), when you Buy 1 Single Serve Bottle at your local grocery store in any of the good2grow flavors, Tropical Fruit Medley, Strawberry Kiwi, Apple, and Fruit Punch. All good2grow beverages are made only from the freshest, most nutritious ingredients, and do not contain added sugar, artificial colors, flavors, or preservatives. Gerry taking a nap so a good time with no tv or interruptions to tell you about our outings for today.Gerry spent the morning at the conference so that's what he did, while I stayed in the room, doing the usual.He's all done now, so tomorrow is a free day, then start our trip back on Friday. We went to check out Camelback Mountain today- or at least drove a bit closer to it than what we had been seeing from a distance before. There are homes on the mountain and as well seems like fancier homes leading to the mountain in Paradise Valley. Did some souvenir shopping in Old Town Scottsdale, but was hoping to find more novelty type souvenirs and didn't. It really seemed very limited for your usual fridge magnets, key chains, etc., that said Scottsdale on them. Alot of jewelry shops, and galleries though. We also spent some time at Butterfly Wonderland which also includes the Mirror Maze and Lazer Maze.This was a cool place. I was interested in seeing the live ant colony while here but unfortunately that display was closed as it may been being renovated. The sign said the ants were on holidays though- cute! We loved the beginning of our tour there where we saw the 14 minute long 3D movie of the Flight of the Butterflies. And as well took other exhibits there that included honeybees, the butterfly emergence gallery, stingray petting pool and the Conservatory- where there was thousands of beautiful butterflies flying around. Once done there we moved over to the Mirror Maze, which was so confusing, that I wasn't sure we were going to get out! Gerry to the rescue did find our way out though. We bypassed the Laser Maze though. My leg still was a bit sore from my out patient work I had done the other day so didn't want to do anything to bother it further. I may add that all these three attractions are housed in one building. We had a good day. Got back to the room early and just vegging. Warm today- was about 34 degrees at last check. Didn't do alot yesterday.Gerry was at his conference for most of the day. Came back to the room and we had some leftovers from lunch the other day. (Nice having the fridge and microwave in the room). After lunch he drove me to my appt. at the medical clinic where I had some veins treated in one of my legs. Today I could take of the compression hose and was quite impressed with minimal bruising, but they do feel itchy in spots. I do have a greater underlying problem that will need more extensive work on the veins- but would need endovenous laser therapy. Perhaps though another time- as it is more costly than getting the foam sclerotherapy I had done. Our visit here in Scottsdale has been nice though- very friendly people here and although fair sized, not too "cityish". Phoenix is about 20-25 minutes away, and more busier there, getting into the freeways and the faster pace of moving.